Personality wise, she retains an aristocratic air and a rather militaristic, almost obsessive, attitude to her training. Although Atdzimis Diena fell to the dark side, which is very rare for a Miraluka, he has shown hope that he will "see the light" and join the light side once more. 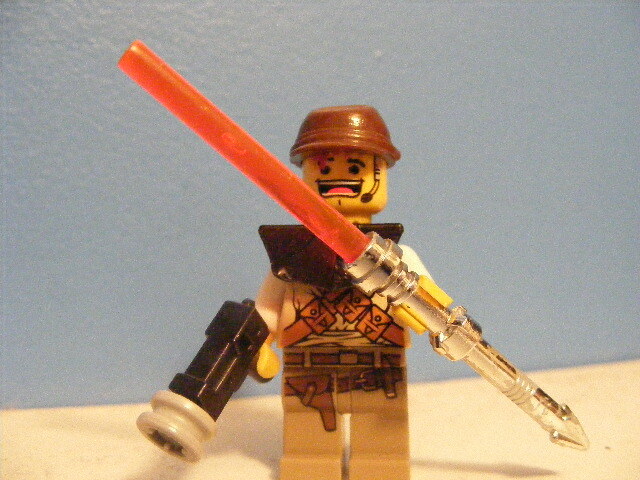 He is trained in all types of lightsaber combat but he mostly uses type IV in combat. He is, quated from a survivor of an attack of his, "A force to be wreckened with." 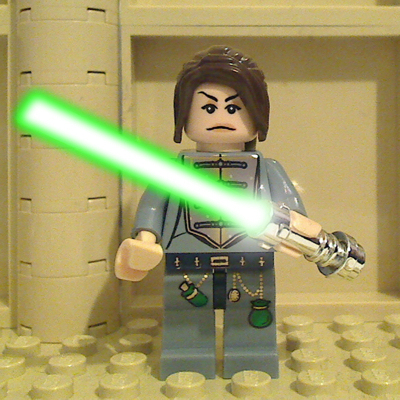 Lhi, an inhabitant of one of the core planets, was gifted with the force but was discovered rather late. At the age of 14 already he was discovered by master Mace Windu during a mission. But, of course, this all happend during the clone wars, and the Jedi were low on stock, so the council decided to train this one. he developed himself well and "graduated". during the wars he did so well that the council intended to promote him to general. But before he would get this promotion, he first had to pass a test, which he failed. In normal conditions he would have been suspended but it being the clone wars made him stay, though, as a regular Jedi. 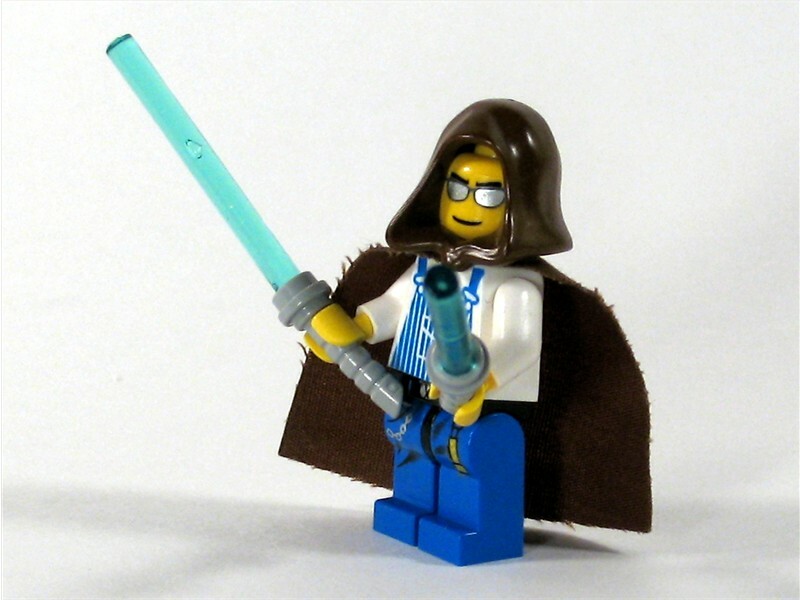 During his life he had always showed a great interest for the light saber and especially for it's hilt. 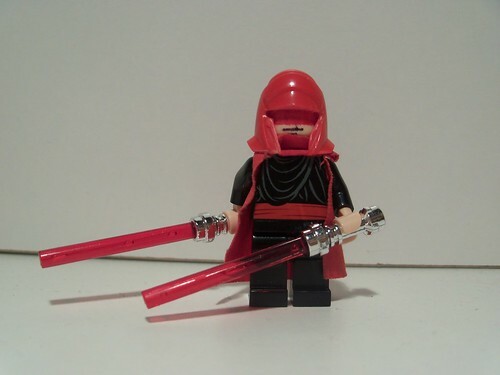 So after his suspension he got into the light saber-hilt production and spent the rest of his days trying to create new and better models, for the future generations to use. Born on the planet Malcassairo in his race's conglomeration (Large City). He was soon discovered by two Jedi who came to the planet in search of a Sith Lord. The Jedi took him to see the council. The council of jedi was unanimous in accepting Bur Man. 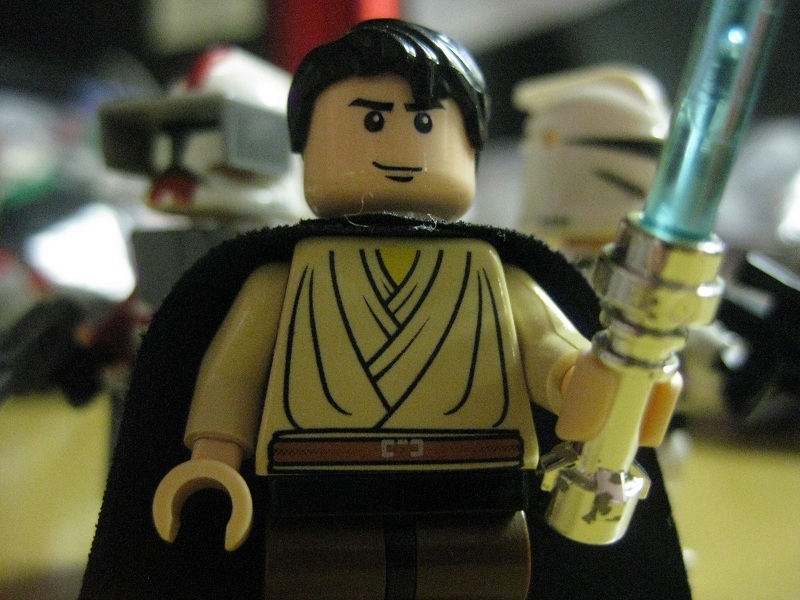 He proved his great skill many times by defeating opponents in Jedi Test duels. 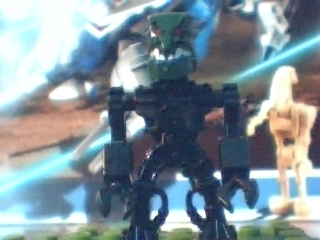 He was soon sent on his first mission to Raxus Prime. Here he attacked and successfully destroyed a droid production factory along with his Master Bakura. Bio: Born and raised in Bespin, his father a jedi knight who was good friends with Ki-Adi Mundi. Vram was taught under Mundi, and has a bright future ahead of him. The force is strong with him! Ber'gin'yon Torg'h. A man with no memories. A mute who lets his sabers talk for him. No one knows exaclty when Ber'gin'yon was born, or exactly where. His earliest memories are of a system called Mystara, somewhere in the Outer Rim. Not many have ever heard of this system. No one but Ber'gin'yon knows why he is unable to talk except Ber'gin'yon himself, and he isn't talking. While appearing to be human, Ber'gin'yon will insist he is actually from a race called the Drow, found only on Mystara. The Drow apparently are nearly immune to force powers, but Ber'gin'yon shows no signs of this. While showing few signs of being a powerful force user, young Ber'gin'yon has shown a fearsome aptitude when wielding dual lightsabers. Ber'gin'yon was found by Jedi Master Karin Elvee when he wandered onto Dantooine in 143 BBY. Bio: Borned on an unknown planet in the outer rim. In the clone wars Jedi master Kit Fisto found him. Kit senced the force in the boy so he took him to the temple for training. 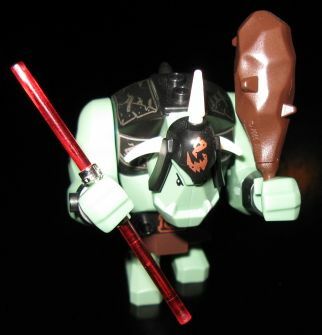 Bio: Olo is part Correlian, part Mandolorian. Previously, he was a training sargent for the Republic's GAR. 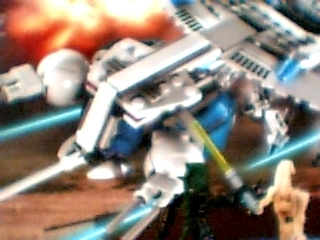 He is also secretly a surviver of The Battle of Galidraan, kept secret so that no would kill him for 'Tarnishing' Jango fett's reputation. Occasionly, he does mission for the Republic, partially to cover his secret further, partially for the sheer joy of it. He learned of his abilities when he was captured by Asajj Venrtress, but escaped with the GAR stormed her secret outpost. 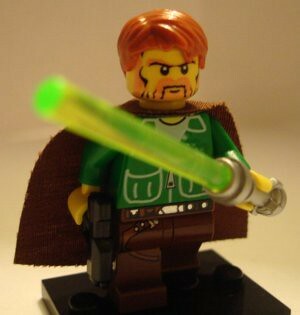 He is known to be friends with such as Clan Skirata, the clone Tracyn, and a few Jedi, as well as a secret Bounty Hunter group. Olo has been on a terrible losing streak. He made it in the tournament, only to be defeated by his first opponent, Ber'gin'yon. Since the tournament he's faced a few good enemies- even a Master. His technique is improving.... which helped in a sabers-only match with Zerb. Cutting through his lucky ewoks Olo scored his first victory. Biographical Data: Aiklimacz is a female Korun Sith apprenticed by the Sith lord Darth Tyranus. Jedi Master Mace Windu first sensed this force-sensitive child on his homeworld Haruun Kal, where he searched for the young girl to train in the Jedi Temple. During his searchl, Mace Windu found her amidst an on-going clan war between Aiklimacz's family and a rival clan. On an unfateful twist of fate, Aiklimacz saw her parents die at the hands of Windu when the Jedi Master was actually trying to save her parents' lives but failed to in the end. The young girl mistakenly blamed Windu for the murder of her parents and ran away not to be found by Windu. Living alone for 18 years, Aiklimacz was blinded with hatred and revenge in her mind, and has lived a life in the Dark Side, earning a living as a pay-for-hire assassin. Darth Tyranus recruited her to be his secret apprentice, offering her the chance to exact revenge on her parents' 'murderer' Mace Windu. The New Face of Evil: Looks can really be deceiving. Behind the angelic face is a cold-blooded assassin highly-skilled in the ways of the dark side of the Force. Deep within her is the ultimate motive to take the life of her parents' 'murderer', Mace Windu. 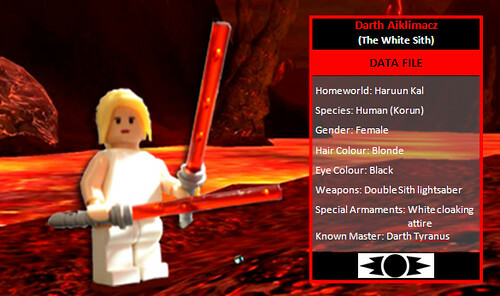 Going against traditional Sith customs, Aiklimacz wore an all-white outfit (presumably to disguise herself as one of the 'good guys'), which has a special cloaking capability which has been extremely useful to her especially in covert operations. 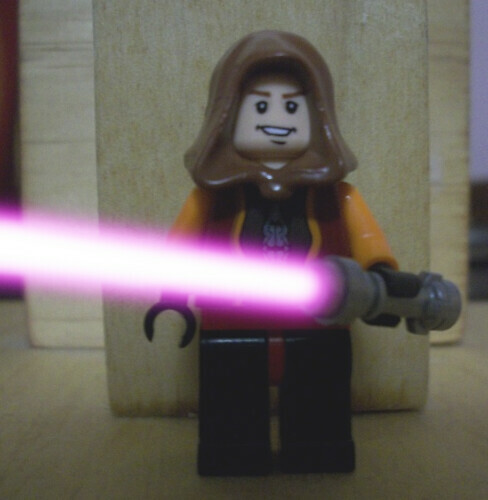 She uses two red lightsabers gifted to her by her master Darth Tyranus, apparently of the same kind as Assajj Ventress'. She is known to be a quick and highly skilled fighter, with precise, decisive and cold-blooded approach in combat. She is best know for her "Kiss of Death", literally leaving a 'mark' on all of her victims after defeating them in battle. Now a Sith Lord after defeating Zerb Stratlind. Recently avenged herself from Yoda's promising padawan, Zerb Stratlind. Now relishing her Sith Warrior status. Still looking forward to finally defeating her nemesis Mistotar Typha. Recently defeated experienced jedi duelist Ber'Gin'Yon. Bio: Born on Corellia to grocers, Zerb lived a humdrum existence until a shopper who happened to be a Jedi noticed him stocking shelves using the force telekinesis. He now studies hard at the Jedi temple hoping to one day rid the galaxy of Sith and shoplifters. Savagely beaten down by Mistotar Typha in a "friendly" sparring match. Defeated Parama Jandu in an epic sparring match. Under the watchful eye of Master Yoda and some luck-giving Ewoks, spared the life of Darth Aiklimacz after defeating her. Paid for this act of mercy by being defeated and left for dead by Darth Aiklimacz. Lost a lightsaber-only sparring match against Hans Olo. Won against Hans Olo when using his full power. bio: On the planet of coruscant,kal's parents fell in the hands of aurra sing.young kal was later adopted by a jedi master,and soon,became a jedi himself.now he hunts down his old enemy,aurra sing,across the galaxy. Born on Myrkr, Yo-hon was just the son of a small merchant. He had no idea of his force abilities for nearly his whole life due to the Ysalamiri. When he took over the family business, he landed on Coruscant, he was taken by the Jedi to train, and he happily accepted. Now he is dueling to train himself further. Bio: One of the few pure humans on Tatoonie and was ambushed by Tusken Raiders. Saved by Jango Fett, was brought to Count Dooku. Trained under him. After the Count's death, he stayed hidden, waiting for the right moment to control the universe himself. Born to a Jedi mother and a Sith father, Jake and his older brother Jak were raised in the caves of Teth. They lived in caves because the relationship between his mom and dad was such a secret that the Jedi Order would have them both killed. When he was 9, his mom and dad tried to kill each other as Jedi and Sith, so his mom took Jake to study in the Jedi Temple and his dad sadly kidnapped Jak to be possessed by the ancient sprit of Darth Bane on Dathomir. 5 years later, Jake saw his brother for the first time in 5 years during a Sith invasion of the Jedi Temple, but he wasn't Jak. 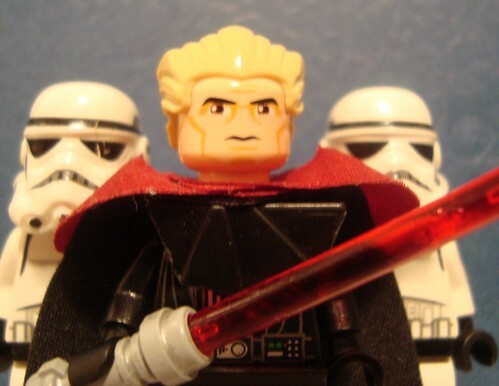 He had a cracked face with evil yellow eyes and two twin-bladed Sith Darkswords. Dad was right, Jak was really possessed by the sprit of Darth Bane. He was facing a Sith Legend, not his brother. 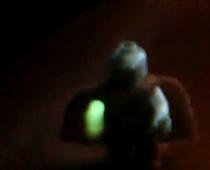 Jake finally released the sprit of Darth Bane from his brother's body, sadly killing him in the process. Now, Jake studies in the halls of the Jedi Archives beside his mother, still in pain about losing his brother.